Even if you’re the law, if you post something on social media, prepare to be called out. Like these cops were with their weak weed busts. Even though more and more states are legalizing cannabis, or at least decriminalizing it, some police departments are still proud of the work they’re doing to enforce the prohibition of cannabis. Instead of just going about their job, some departments are choosing to post about the busts, no matter how small. And as most people now know, if you post something on social media, prepare to be called out. That’s just what happened to the Lakeland Police Department in Florida, who have posted their weak wed bust on Facebook and Twitter, which had people call them out in response. The most recent of such was posted by the Lakeland PD and quickly resulted in feedback that was less than positive. But the Lakeland PD doesn’t seem to care about the negative feedback, it seems. That’s pretty clear, too, as the department happily defends the post (and the prohibition). While there are negative comments from the public (“[Q]uit wasting tax dollars on lame bust!”), which even included one accusing the Lakeland PD of deleting posts that called them out, there is an equal amount of support for the police (for keeping the public safe from the terrors of weed). That just shows that there is a lack of education about how beneficial weed can be, and just how harmless the plant really is, too. While there is far to go, Florida has taken the first step towards the legalization of weed. 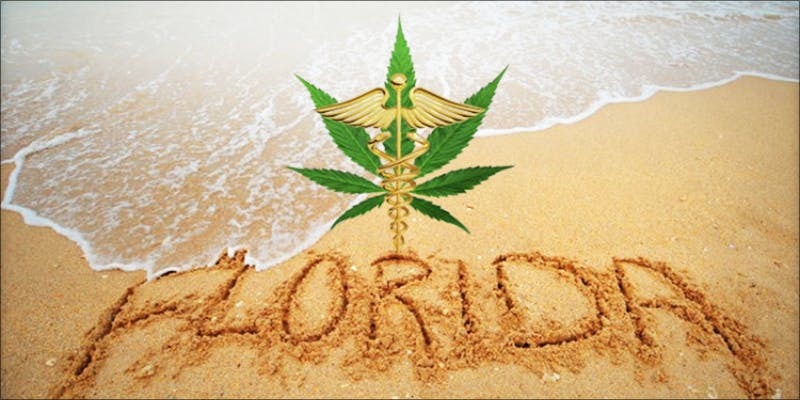 In June, Governor Rick Scott signed a broader medical cannabis system for the state into law, which builds on Florida’s existing compassionate use of low-THC and medical cannabis program. The measure (SB 8A) passed in a special session, even after lawmakers failed during their regular session in May to implement a constitutional amendment to legalize weed, one that was supported by 71 percent of voters. The new law will bring relief to thousands of patients, allowing for those with a wide range of conditions from cancer, to epilepsy and PTSD to treat their symptoms with medical cannabis. Before those patients are prescribed medical cannabis, doctors must go through two hours of training to be certified by the state, which will then see them authorized. The state is in the process of setting up a registry of eligible patients, too, which doctors must check before prescribing.